According to the press release, the ATH-AP2000Ti employ driver diaphragms with a DLC (diamond-like carbon) coating and a Permendur magnetic circuit, to deliver exceptional musical detail, ultra-fast transient response and powerful dynamic impact. The drivers are mounted in lightweight yet rigid titanium housings to attenuate unwanted resonances for maximum sonic purity. The ATH-AP2000Ti feature Audio-Technica’s A2DC (Audio-Designed Detachable Coaxial) jack that can be used with the included detachable 3.5 mm stereo mini-plug and 4.4 mm balanced mini-plug cables, the latter for use with headphone amplifiers and portable players with a balanced headphone output. Each ATH-AP2000Ti is individually identified by a laser-etched serial number. The ATH-AP2000Ti is a closed-back design, featuring large-diameter 53 mm drivers with a wide 5Hz-50kHz frequency response. 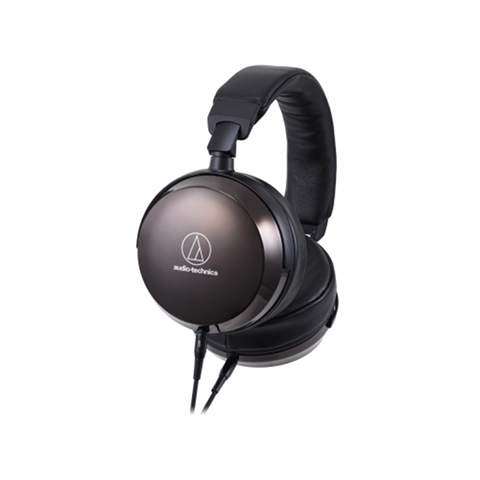 It also features Audio-Technica’s Core Mount Technology (CMT), which positions the driver’s voice coil in the middle of its housing so that the acoustic space is balanced in both the front and the back of the driver. This configuration provides efficient airflow, which facilitates highly transparent midrange and high frequency reproduction, the company says. The driver housings employ the company’s Double Air Damping System (D.A.D.S.) for improved bass extension and detail. The headphones offer long-wearing comfort thanks to its soft, durable leather ear-pads. It comes with three detachable cables: a 3.9-foot and 9.8-foot cable with a 3.5 mm stereo mini-plug and a 3.9-foot cable with a 4.4 mm 5-pole balanced mini-plug. The ATH-AP2000Ti also includes a hard carrying case, 1/4-inch stereo adapter and cleaning cloth.